When you are hiring you need easily accessible, useful feedback that can be shared with others. This is what feedback forms and scorecards are for. Feedback forms can be created and fully customised or you can use one of the templates already created. Feedback forms help create a structured and consistent hiring process as all hiring managers/recruiters ask the same questions. Scorecards can help your team evaluate candidates using a consistent rating system. All information relating to the candidate is stored in their candidate profile on HireHive. You can use the template form in HireHive Settings (Feedback forms) or create a new set of questions that are in line with your hiring process. You can add as many questions as you need. These questions can be free text, multiple choice or check box type questions. Scorecards are a set of questions which require a specific answer – double thumbs up, thumbs down, neutral, thumbs down, double thumbs down. These can be useful in gathering quick, relevant and consistent information. 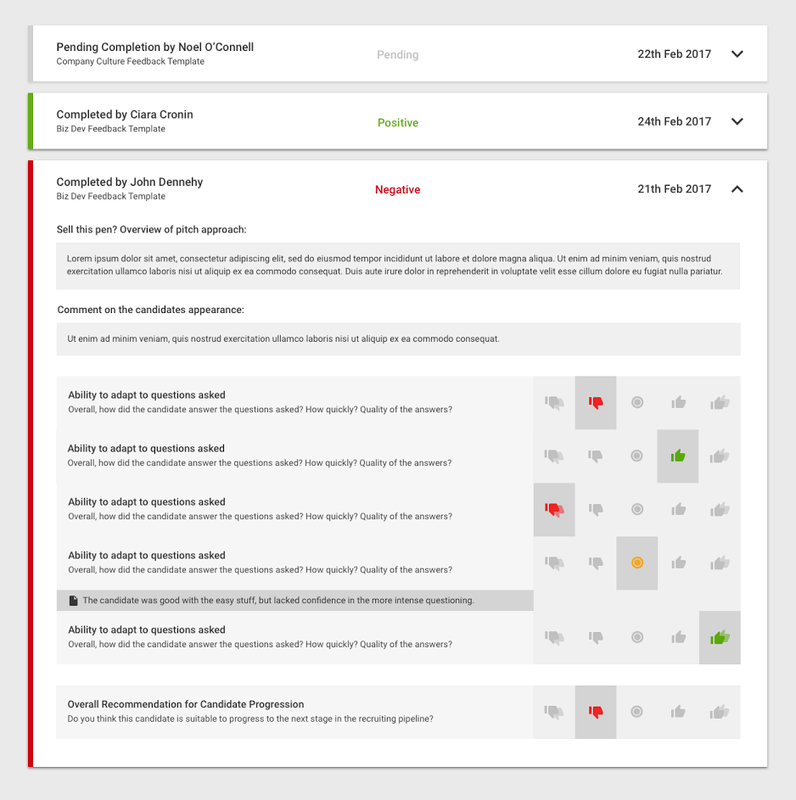 Feedback forms can be sent to any user of HireHive or to an external email address from the candidates profile e.g Hiring Managers for different departments. If sent to an external email – a profile with the candidate details will appear. It is possible to allow external users to add notes to a profile. You can revoke access for this external user at any time. The feedback from each user is stored in the candidates profile. If the feedback form has not yet been completed a ‘Pending’ flag will be visible. If the form has been completed, the completion date will appear.